Wrinkles: Can you Really Slow Down Skin Aging Naturally? Are you feeling chagrined by persistent wrinkles? Did you know that 20-year-olds can get them? Have you tried a gamut of skin creams that haven’t worked? In this blog, you’ll learn why these landmarks appear. Some reasons may surprise you! I also share preventive measures and natural ways to fade existing wrinkles. You can reverse the signs of aging! Collagen and elastin are “youth proteins” present in skin. Collagen renders strength and firmness. Elastin imparts resilience, enabling your skin to resume its shape after stretching. Collagen is mostly present in the lower skin layer, serving as its framework. Elastin comprises the middle layer. Working as a team, collagen and elastin keep skin supple and smooth. Over time, our bodies produce less of these two proteins. After age 20, we lose one percent of our collagen matrix each year(source). To repair structural damage, skin cells must constantly reproduce. After age 30, the rate of replication automatically wanes. Consequently, skin becomes rigid. The weakened framework bends and caves, forming lines. The underlying fat layer diminishes, and skin becomes thinner. Elastin dwindles, causing sagging. Did you know that the word “collagen” means “glue”? Collagen gives the skin its structure and strength. You can increase collagen by eating the right foods. You may also consider taking a collagen supplement. You’ll find more information here. Wrinkle Triggers: What’s behind the skin aging process? In 2009, three American scientists received the Nobel Prize for their groundbreaking discoveries concerning the aging process. Their research focused on chromosomes, the threadlike structures within cells that carry genes. 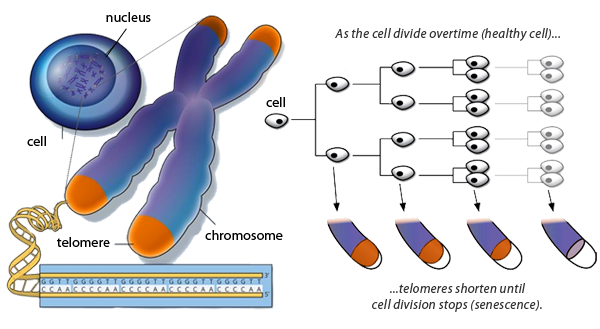 Chromosomes are capped at their ends with structures called telomeres. These “bookends” of DNA protect chromosomes from damage during cell division. A telomere is like the plastic tip on a shoelace. It prevents the unraveling of a chromosome’s genetic code. It also keeps other chromosomes from adhering to it (source). Each time a chromosome replicates, part of its thread is cut. However, the DNA on the telomere stays intact. Without it, vital genetic information would be lost. However, as a telomere continues shortening, it reaches a length where replication stops. The cessation is due to the deactivation of telomerase, the enzyme that launches cell division. When skin cells stop duplicating, they slowly die. Do you raise your eyebrows when applying makeup? Are you aggressive when removing it? Stretching, rubbing, and tugging at your skin damages blood vessels, leading to lines. Harsh soaps and scrubbing wash off protective oils. Gentle cleansers are a better option. If makeup isn’t removed before going to bed, lingering chemicals seep into your pores, destroying collagen and elastin. Are you prone to acne? It can be hard to resist picking pimples. However, any time we pick at our skin, we irritate it, fostering wrinkles and scars. 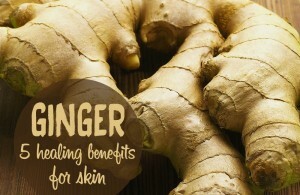 It’s safer using natural treatments for acne. Ultraviolet light from sun radiation breaks down collagen and elastin, aging skin prematurely. To avoid sun damage, wear sunscreen rated SPF 30, containing zinc oxide. Non-nano zinc oxide is the safest type, made of small particles that don’t enter your bloodstream. One brand I recommend is Babo Botanicals. It’s my heartfelt hope that you don’t smoke. However, if you do, here’s an incentive to quit. Toxic substances in cigarettes damage your skin. Tobacco smoke narrows blood vessels, inhibiting oxygen absorption. It also spurs the release of an enzyme that degrades skin proteins. People who drink in excess have dry, tired-looking skin. Alcohol impairs skin elasticity, forming creases from dehydration. Vitamin A is also depleted, a nutrient needed for collagen formation. Free radicals are molecules rendered unstable by unpaired electrons. To correct their molecular imbalance, they steal electrons from skin proteins. Free radicals are the byproducts of natural internal chemical reactions. When fighting off disease, our immune systems also produce unstable molecules. However, the main causes of free radicals are environmental insults. These include UV radiation, air pollution, cigarette smoke, industrial chemicals, medications, processed foods, and stress. 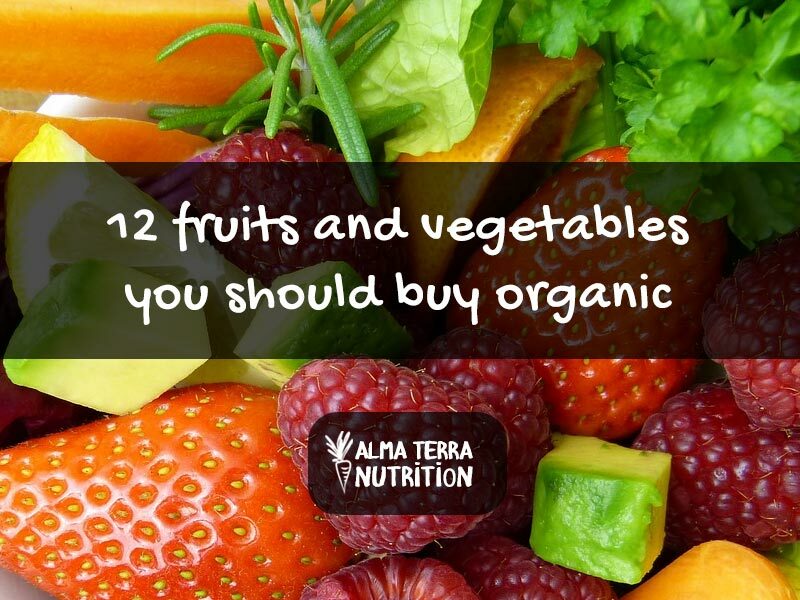 Fortunately, nature provides us with antioxidants, nutrients that nullify free radicals. Antioxidants do this in two ways, either by supplying missing electrons or destroying rogue molecules. You can learn further about antioxidants here. Dietary Support: slow aging naturally by making smarter food choices! Sugar – Try to minimize ingesting white sugar. Its molecules attach to collagen and elastin, making skin stiff. Spiking insulin sparks inflammation, leading to fine lines, puffiness, and sagging. Salt – Excess sodium causes puffiness, reducing skin elasticity. Vitamin C – Skin requires this nutrient to form collagen and elastin. Rich sources of Vitamin C are guava, oranges, watermelon, strawberries, broccoli, and bell peppers. B Vitamins – These also contribute to collagen manufacture. B-complex powerhouses are bananas, beans, peas, broccoli, and green leafy veggies. Vitamin E – This fat-soluble antioxidant prevents UV damage. Vitamin E goldmines are wheat germ, nuts, and seeds. Supplements: how to fade wrinkles naturally? Structurally related to Vitamin K, CoQ10 is an antioxidant present in skin. After age 30, the level of CoQ10 gradually diminishes, making us more vulnerable to skin damage by UV light. Cells use ALA for energy production. Typically, vitamins are soluble in either water or fat. ALA is unique in being both water and fat soluble, making it more bioavailable. It also recycles other nutrients, enhancing their effectiveness. ALA eliminates wrinkles, shrinks pores, reduces scars, and evens skin tone. The more energy ALA generates, the younger skin looks (source). Small amounts of this antioxidant are present in yams, carrots, spinach, broccoli, and peas. In addition to eating these veggies, supplement with 50 mg of ALA daily. HA is a key component of skin, enhancing the collagen framework. One reason collagen declines with time is a decrease in HA. The average 70-year-old has lost roughly 80 percent of the HA they had at age 40 (source). A shrinking contingent of collagen and HA makes skin become thin and rigid. Oil glands wither, leading to itching and dryness. Free radical damage hinders the ability of cells to make HA. Although medical spas use HA injections to fill in wrinkles, supplementation yields more lasting results. By increasing moisture content, HA tames inflamed and wrinkled skin. Clinical studies recommend a daily dose of 120 mg.
Grape seeds contain powerful antioxidants called OPCs. Extracts have 20 times the protective power of Vitamin E and 50 times that of Vitamin C! (source) OPCs combat free radicals and bond with collagen. The suggested dose of grape seed extract is 50 mg daily. Have you seen the ads by Christie Brinkley, advertising Biosil? Women’s magazines often feature them. Silicon is the active ingredient in Biosil, which the supermodel credits for her glowing skin. Many women echo her experience, reporting increased smoothness and elasticity. 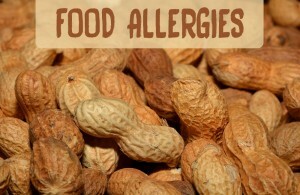 They also note stronger nails, thicker hair, and decreased joint discomfort. You can read testimonials here. Clinical research shows that silicon generates collagen, fading wrinkles and plumping skin. A Belgium study of 50 women evaluated Biosil use for 20 weeks. At the study’s onset, the women had evidence of aging skin. Half the subjects took 10 mg of Biosil daily while the other half received a placebo. Those taking Biosil showed a 30 percent improvement in wrinkles, 55 percent increase in elasticity, and a marked reduction in brittle hair and nails (source). The Mayo Clinic advises that “there are no face-lifts in a bottle.” Although wrinkle creams can help somewhat, a healthy diet and lifestyle are more effective, rejuvenating skin from within. If you’re interested in topical treatments, the Mayo Clinic provides detailed information here. Referring back to the discovery of telomerase, the researchers also identified another enzyme, teprenone. This chemical appears to delay telomere shortening, protecting DNA. Combining teprenone with caprylic acid helps skin cells retain moisture and live longer. The result is more youthful skin, with enhanced tone, firmness, and elasticity. Interestingly, on a molecular level, teprenone resembles Vitamin K2. Caprylic acid is an emollient found in coconut and palm oils. It also facilitates the absorption of water and nutrients by skin cells. In a study of older women, combining teprenone and caprylic acid produced rapid skin improvement. After one month of use, firmness increased by 35 percent and tone improved by 45 percent. After six months, pigmented spots reduced by roughly half. In 75 percent of the participants, there was significant reduction of fine lines and roughness (source). 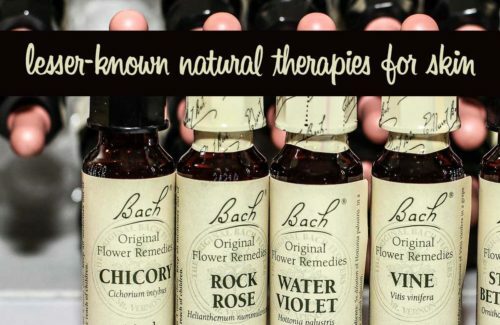 Hopefully, more clinical trials will lead to marketing this natural treatment. Your skin uses two proteins to maintain strength and elasticity, collagen and elastin. With age, we produce less of these proteins. Consequently, our skin becomes rigid and weak, forming wrinkles. Loss of the underlying fat layer causes skin to lose thickness. Elastin diminishes, leading to sagging. Skin also ages from the effects of free radicals, unstable molecules with unpaired electrons. To correct their molecular imbalance, free radicals steal electrons from skin proteins. Unstable molecules are byproducts of natural chemical reactions and immune responses. Free radicals are also caused by UV radiation, air pollution, cigarette smoke, industrial chemicals, medications, processed foods, and stress. Antioxidants are nutrients that neutralize free radicals. To prevent premature skin aging, eat foods high in phytonutrients and Vitamins C, E, and B complex. You can also take skin-smoothing supplements, such as CoQ10, alpha lipoic acid, hyaluronic acid, grape seed extract, and silicon. Use mild skin cleansers – free of harmful ingredients – and SPF 30 sunscreen, containing zinc oxide. Be gentle with cleansing, makeup application, and removal. Avoid smoking and alcohol while minimizing intake of white sugar and added salt. 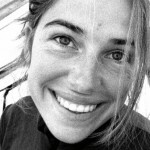 Wrinkles are also triggered by shortened telomeres, caps at the ends of chromosomes. However, new research has identified an enzyme that improves skin health when combined with caprylic acid. Hopefully, clinical trials will lead to marketing this treatment. 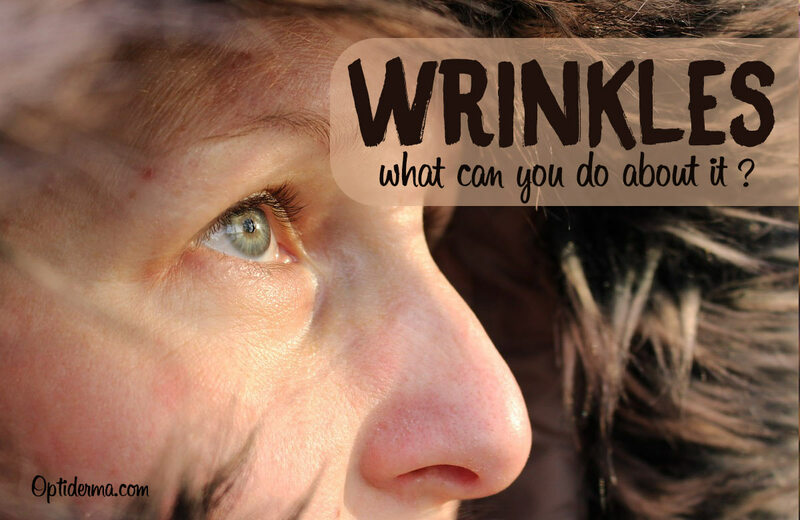 Please share your anti-wrinkle strategy with the rest of us aging ladies! Thank you! Wrinkles and Skin Aging: Why Use Natural Treatments? 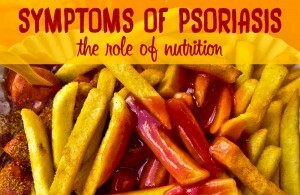 Psoriasis diet: can nutrition help with psoriasis? 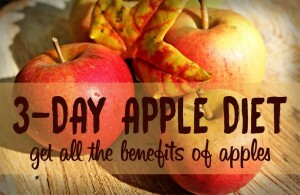 3-day Apple Diet: Get all the Benefits of an Apple Cleanse!